*Based on our client's experience. 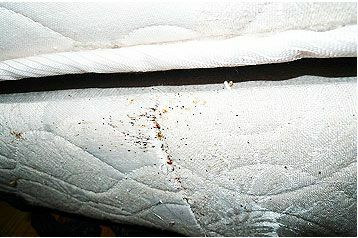 Bed bugs are messy eaters, and even messier digesters. It’s common for them to leave trails of feces or blood stains on sheets and pillows. Blood stains are small red sposts, often left in trails. They are usually from bed bugs spitting up some of the blood that they had been drinking, or from them being crushed by people rolling over in their sleep. 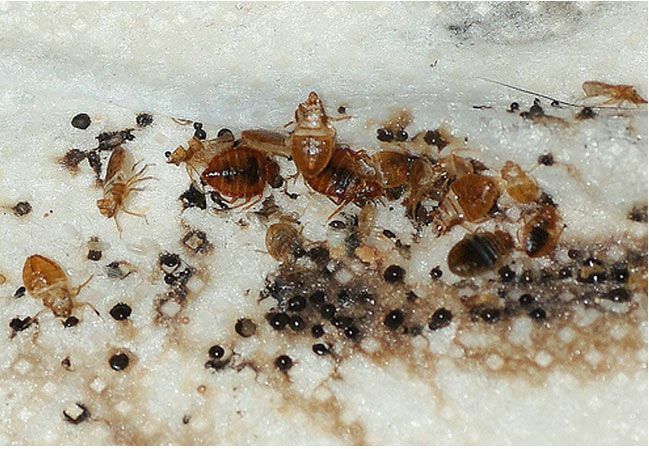 Close-up of an adult bed bug, and a cluster of feces. Feces are particularly common — they are usually thin black spots or streaks, composed of digested blood that was excreted by the bed bugs as they returned to their hideout. To confirm that the mark is from a bed bug, try dabbing it with a wet paper towel; it should leave a red smudge. There are 5 stages of development during a bed bug’s maturity. 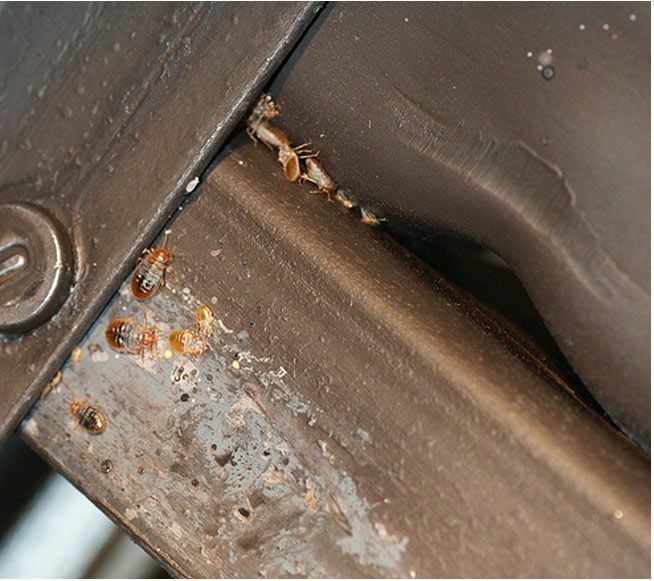 During each stage, a bed bug will molt their skin to make room for a larger skin, like a snake. The skins will be transparent with a gold or amber tint. Since the skin is part of the bed bug’s exoskeleton, it retains the shape and size of the bug pretty well, including its legs and joints. The bed bugs themselves are reddish-brown and oval-shaped. They have six legs, small front wings, and no rear wings. They’re very small, usually only a few millimeters long, and are decorated with dark bands. 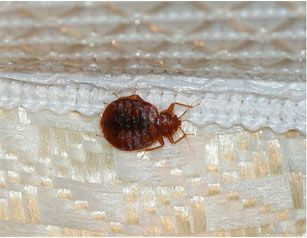 If a bed bug has recently fed on its host, a deep red tint will show through its transparent skin. Send pictures of your bed bug infestation to [email protected], if we choose to use your picture, we’ll send you a coupon to use on your order. *Only chosen pictures will receive the coupon. Not valid with any other offer.